In Steven Universe, Smoky Quartz is the fusion of Steven and Amethyst. They formed for the very first time in their debut episode, "Earthlings". 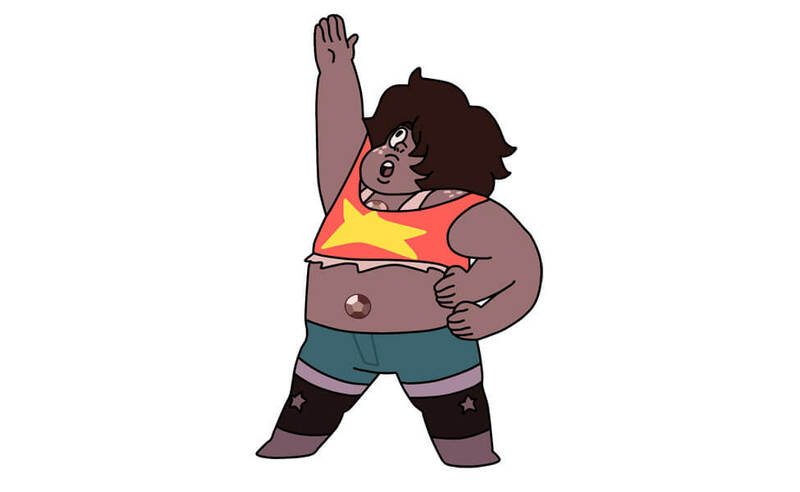 Smoky wears two crop-top shirts, one similar to Amethyst's, and one that resembles Steven's. 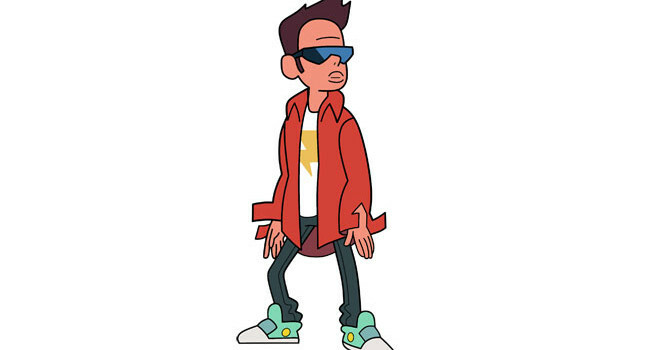 Steven's shirt is noticeably stretched due to Smoky Quartz's size. 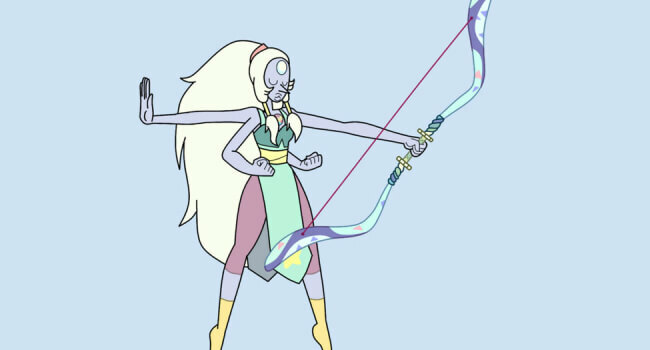 In Steven Universe, Opal has bright-periwinkle skin, and thick, wavy, off-white hair. Her hair extends slightly past her calves, tied back into a rowdy ponytail by a pale salmon band. Extending from off the sides of the ponytail are two small pigtails in the front and chin-length bangs, which resemble Pearl’s. 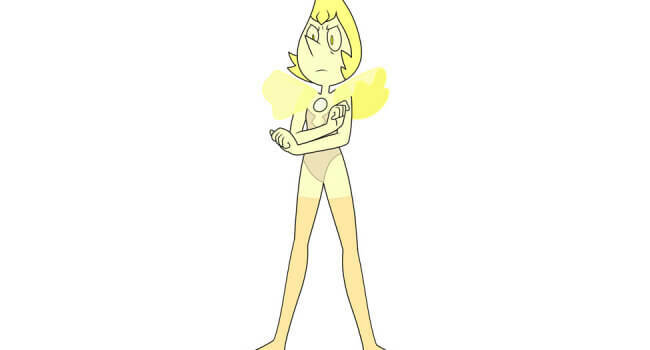 Opal has a lean, toned body with two pairs of slender arms. Her face is thin and rounded, inheriting Pearl’s pointed nose and Amethyst’s plump lips. She has two gems in the same places where Amethyst and Pearl’s gems are. 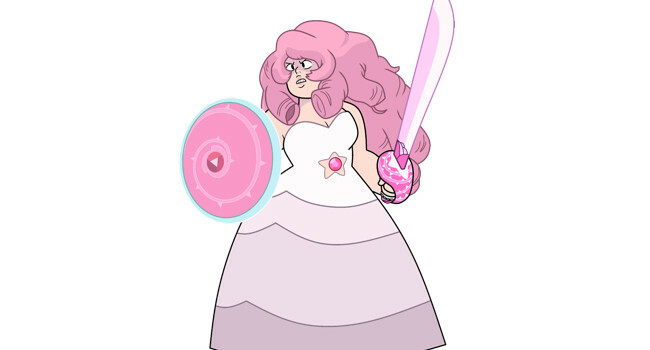 In Steven Universe, Vidalia is a minor character who made her debut in “Story for Steven” in a flashback, and reappeared in the episode “Onion Friend” in person. Vidalia had knee-length, light-blonde hair that seemed to spike around her face and at the top of her head. She wore light magenta/pale pink eyeshadow, white boots, and high-waisted blue-gray jeans that were torn on the knees. 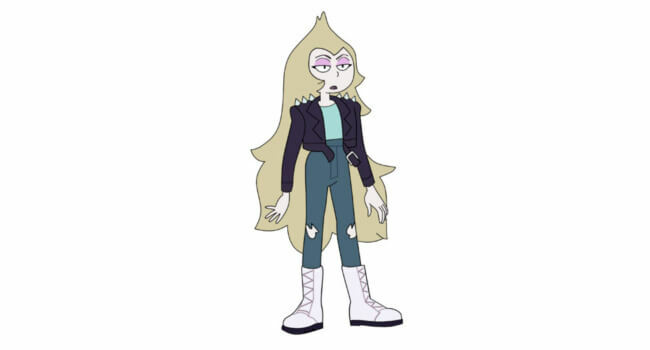 Vidalia also wore a dark leather jacket with spikes on the shoulders, which appeared to have a belt hanging off of it. Her shirt was pale blue. 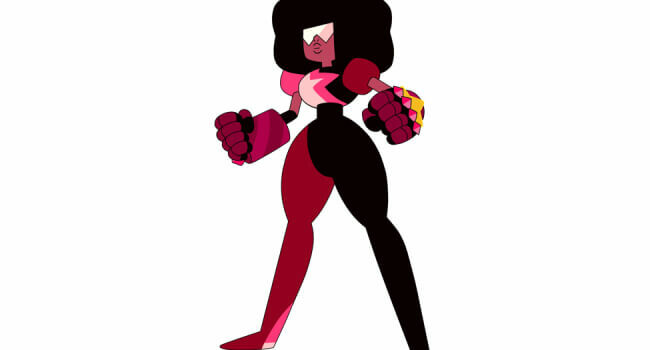 Garnet, who’s a fusion of Ruby and Sapphire, is the leader of the Crystal Gems in Steven Universe and is often the the peacemaker between Pearl and Amethyst. For her costume, the gloves are going to require painting and bedazzling, and her leotard will also need alterations. The styrofoam ball will help to create the exaggerated puff sleeve look once they are shaped to your arm and covered in fabric. Yes, but where do I get the extra arm? 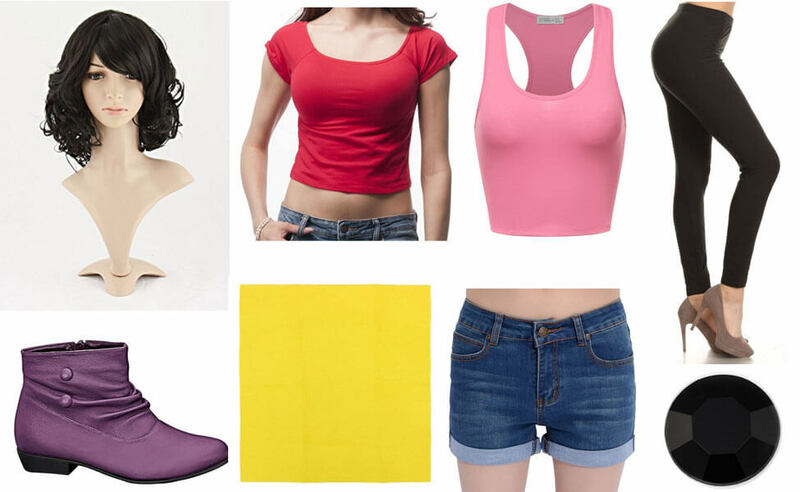 Or, if your lazy, get a mannequin arm you can get on amazon, spray paint it, then stick it to your arm. Look up some tutorials on YouTube on how to attach it. You can make the extra arm by using paper. Rap it around your arm and stick it. Make sure it’s not tight since you don’t want to get a purple arm. Cut it off then stick it back together. If you don’t understand what I am saying then search it up on YouTube.